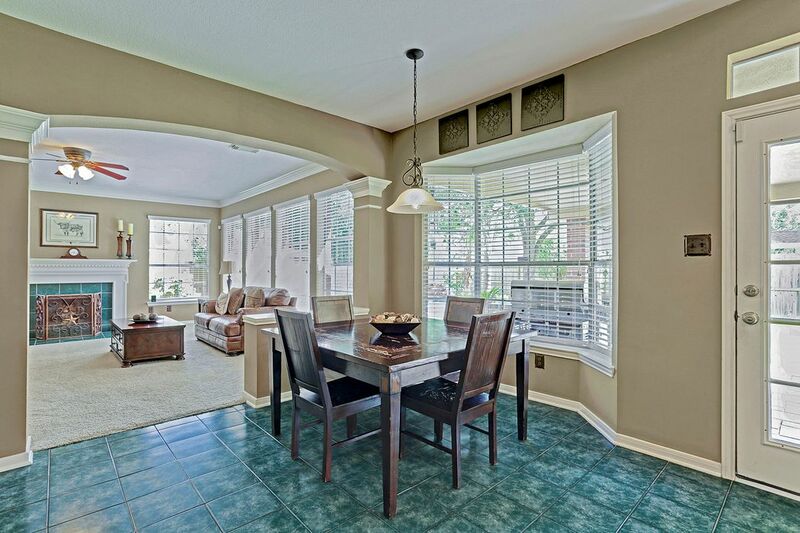 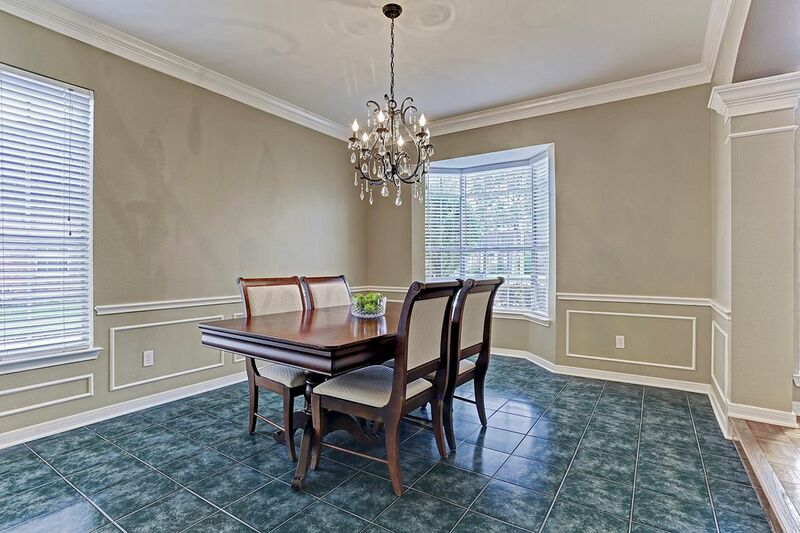 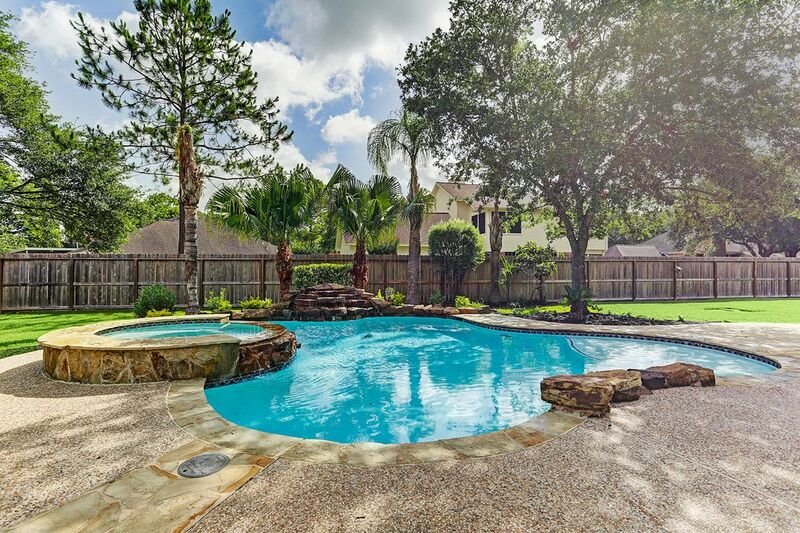 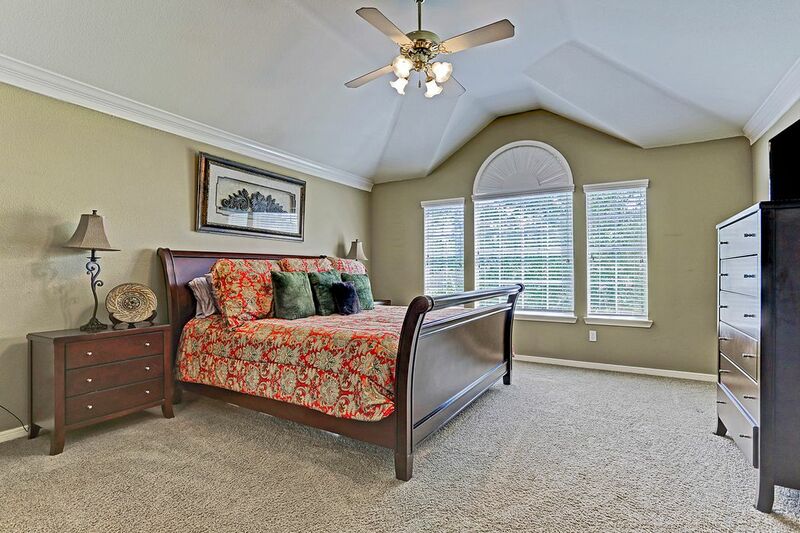 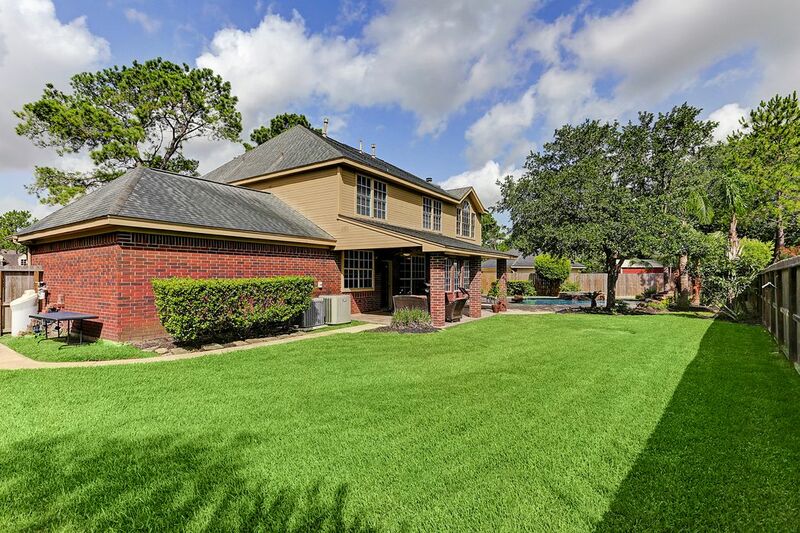 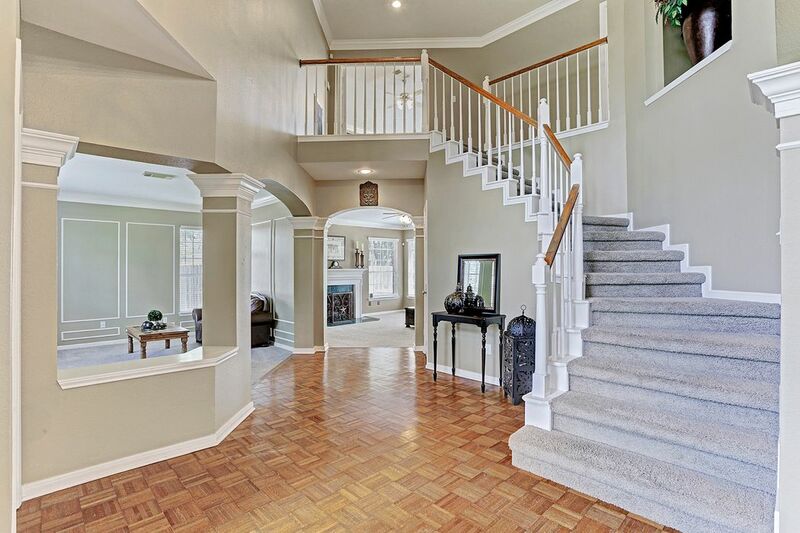 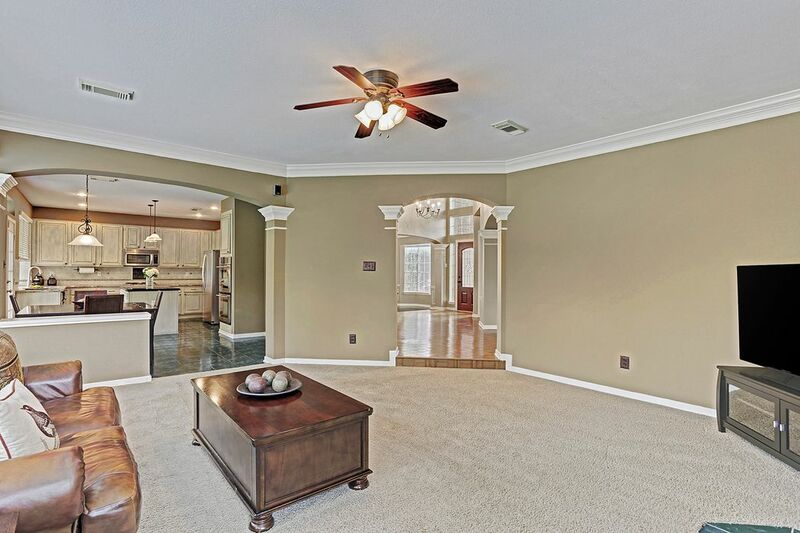 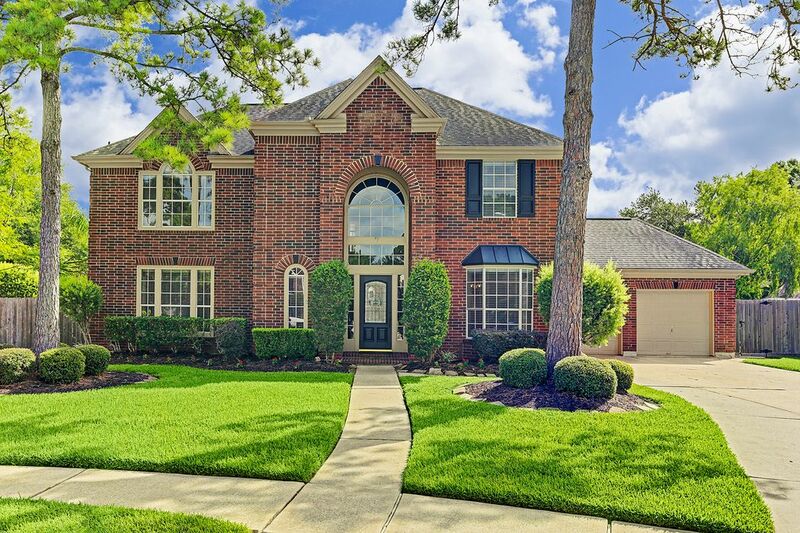 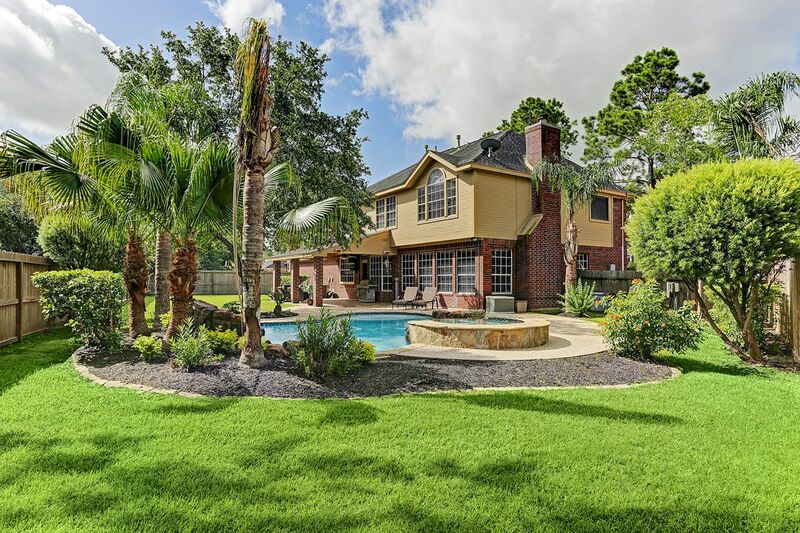 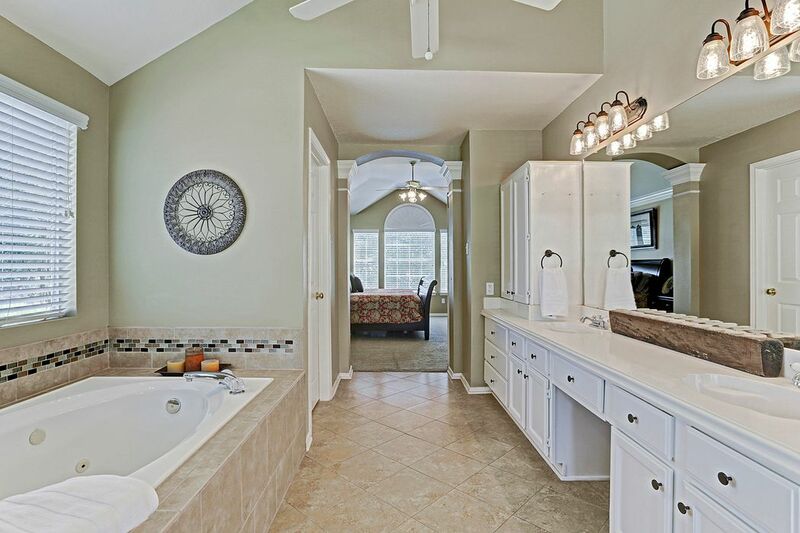 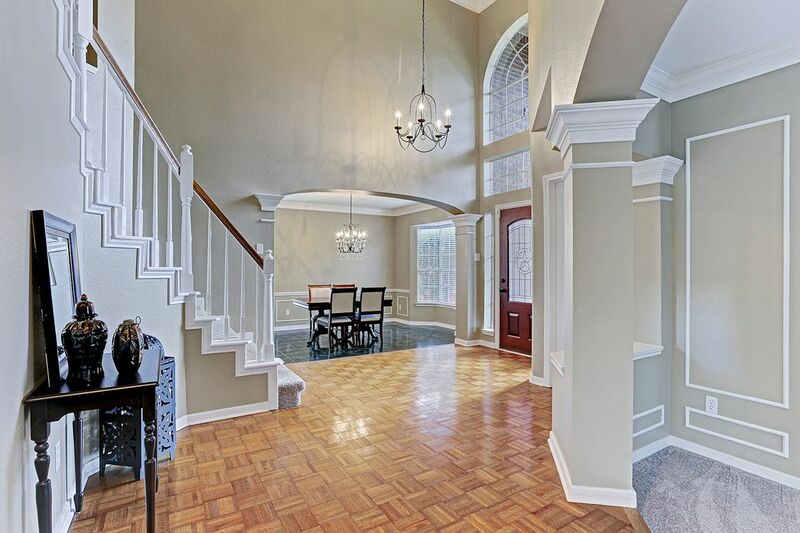 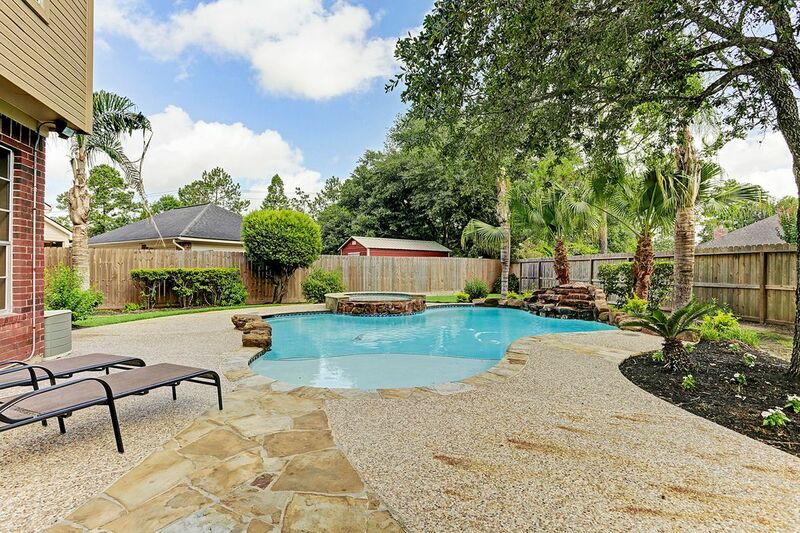 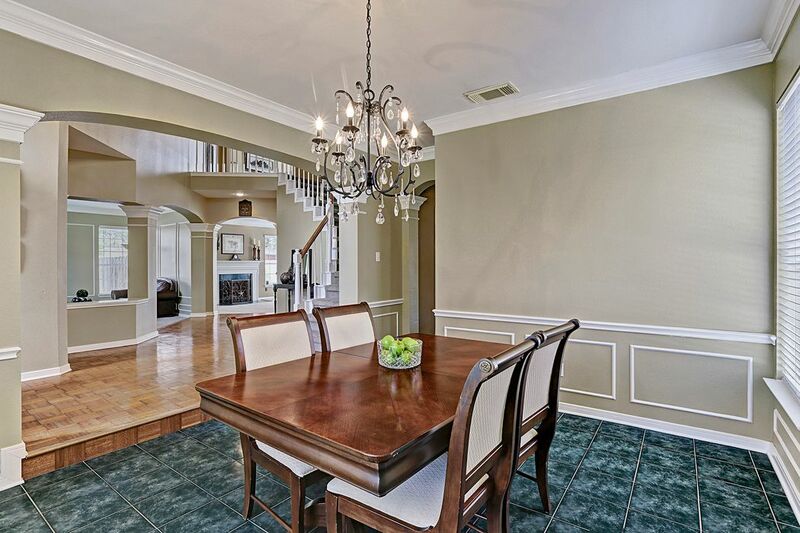 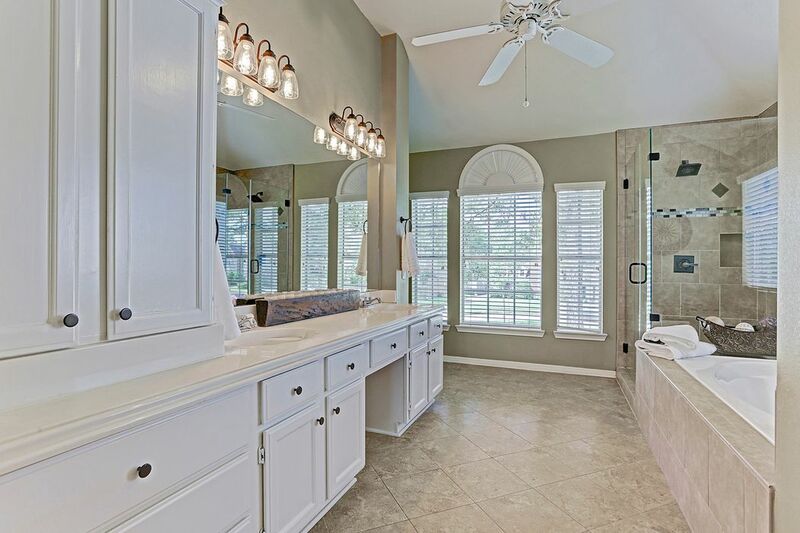 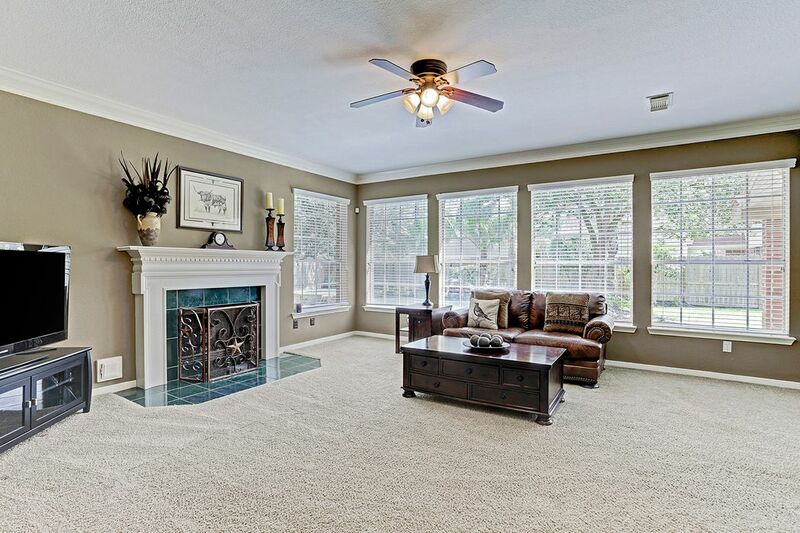 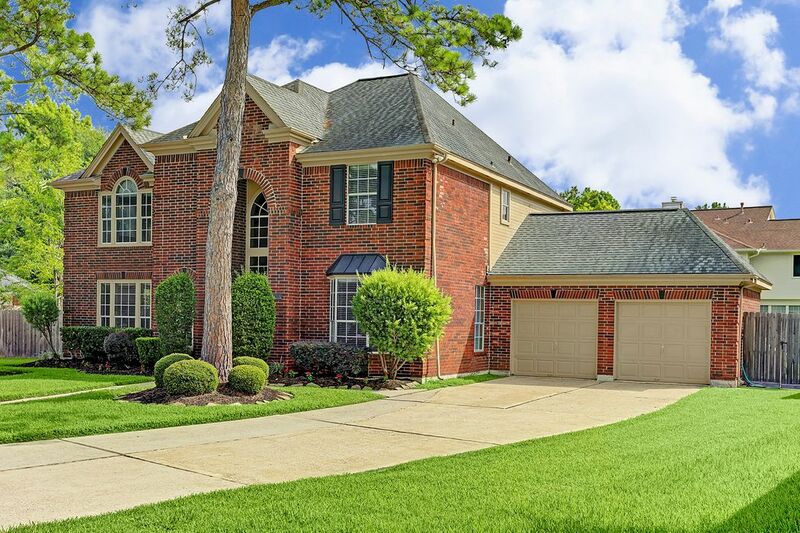 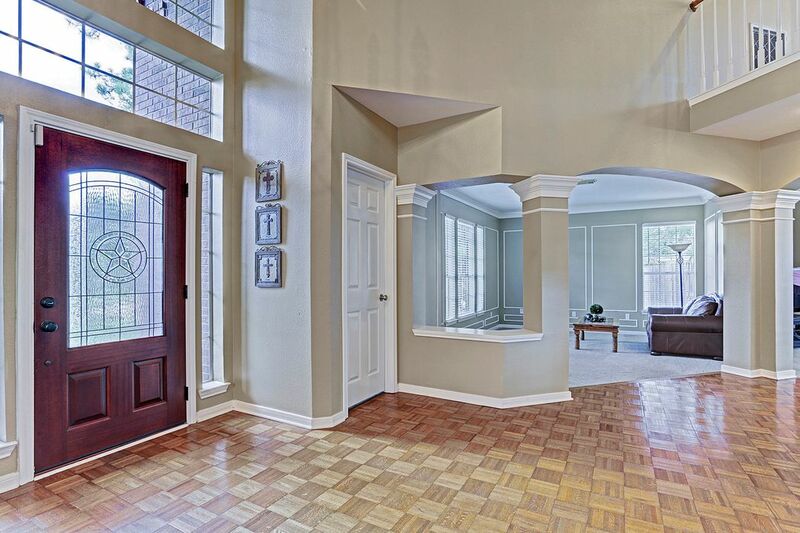 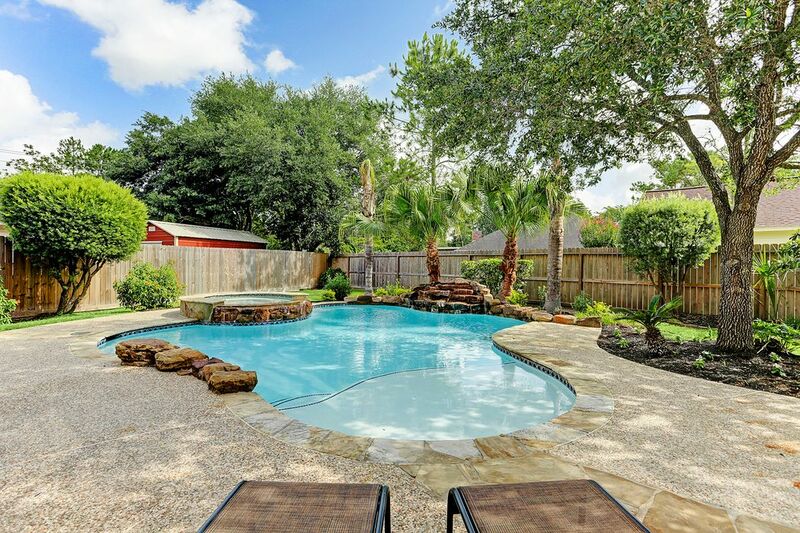 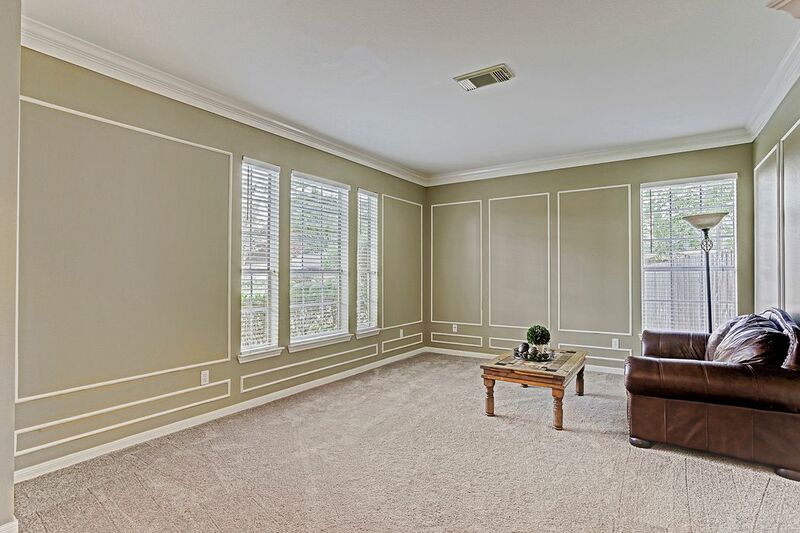 603 Fernwood Drive, Friendswood, TX 77546 | Martha Turner Sotheby's International Realty, Inc.
$364,900 4 Bedrooms2 Full / 1 Partial Baths3,016 sq. 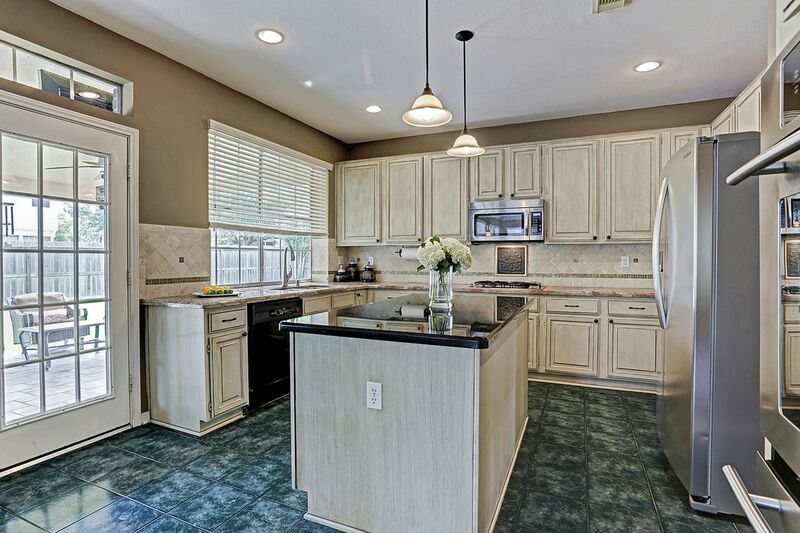 ft.
Come visit this beautiful and well maintained 2-story that is tucked away on an oversized cul de sac lot in the popular Pines of Wilderness Trails subdivision.The traditional 4-bedroom home has an impressive entry foyer with wood floors, tall ceilings and a spacious layout.The kitchen includes a large and inviting island with granite countertops, and is open to the family room and breakfast area.The back yard features a covered patio, salt water pool and spa, mature landscaping and plenty of yard space for entertaining. 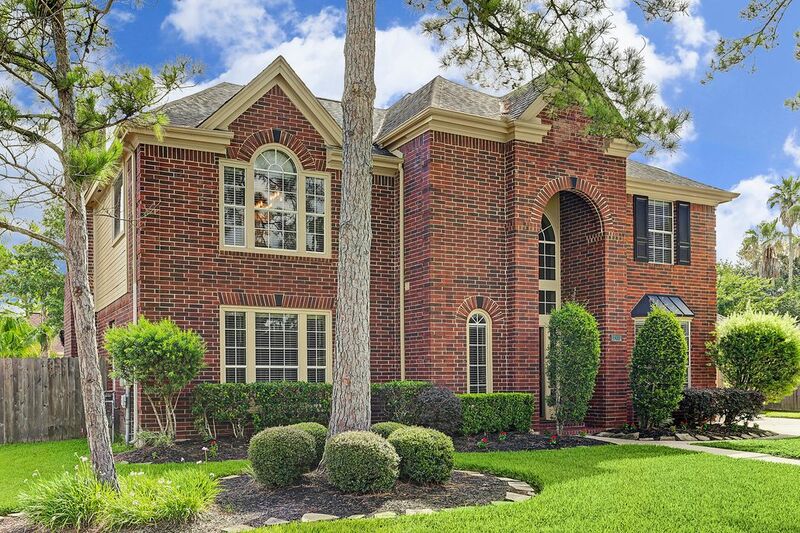 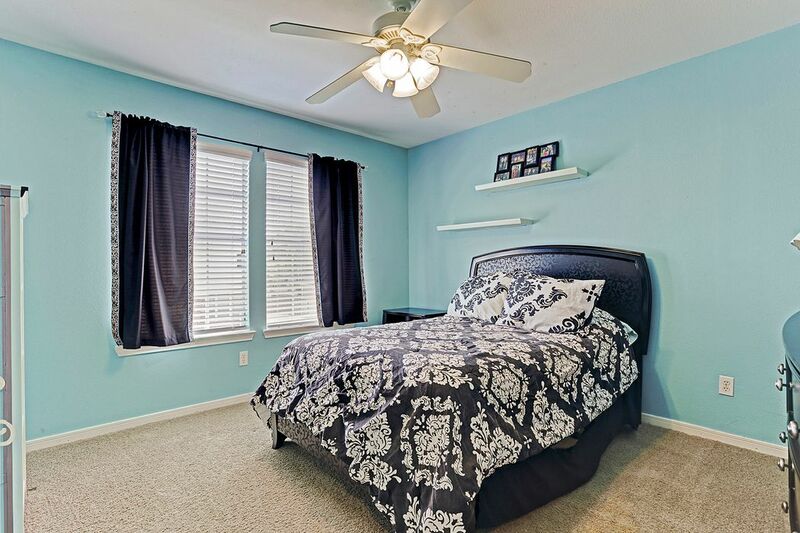 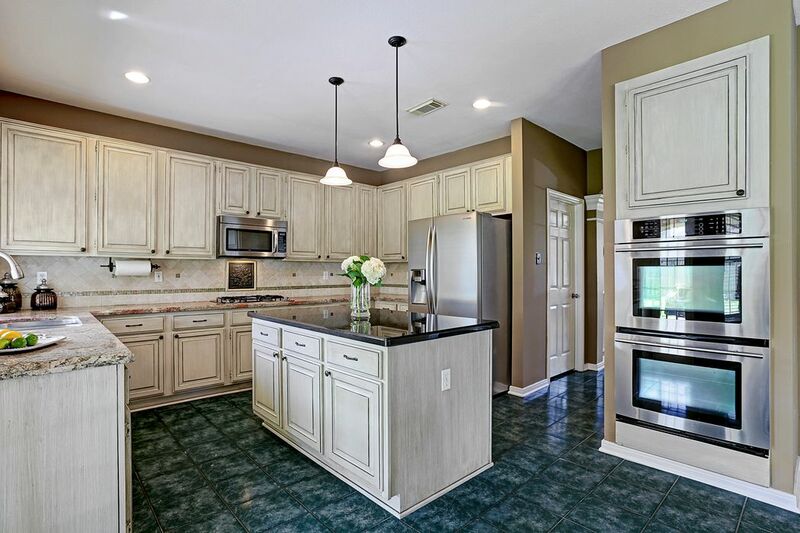 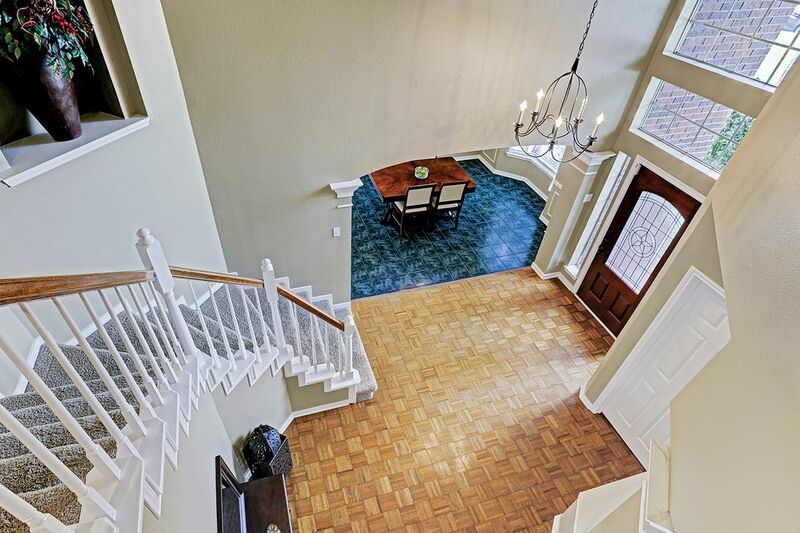 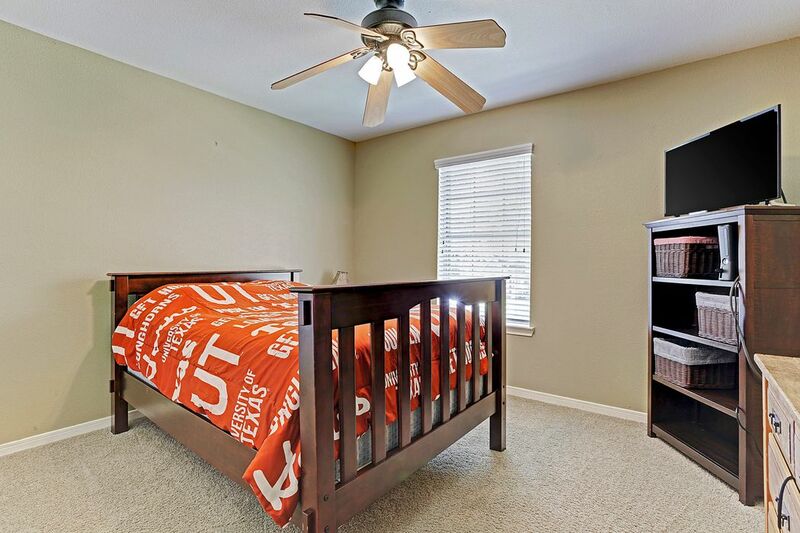 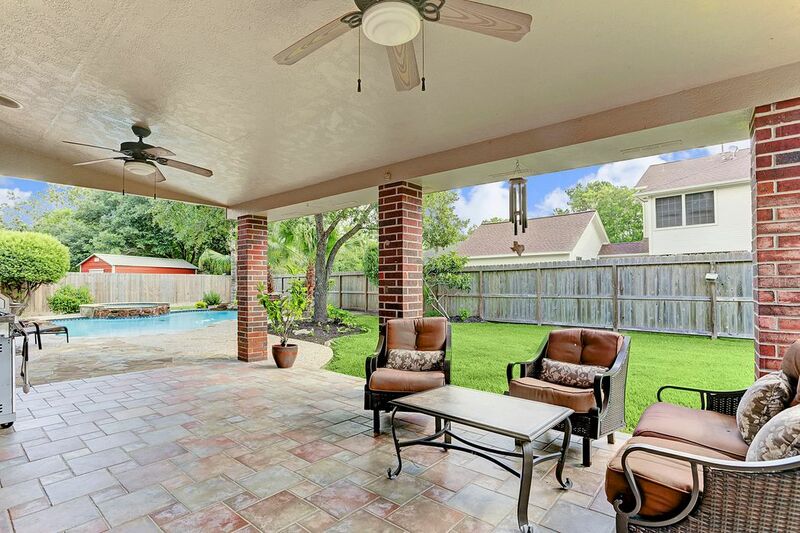 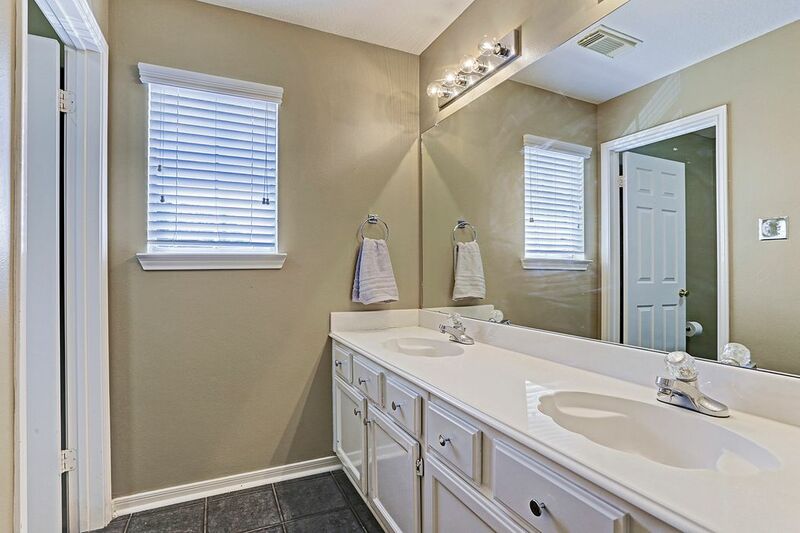 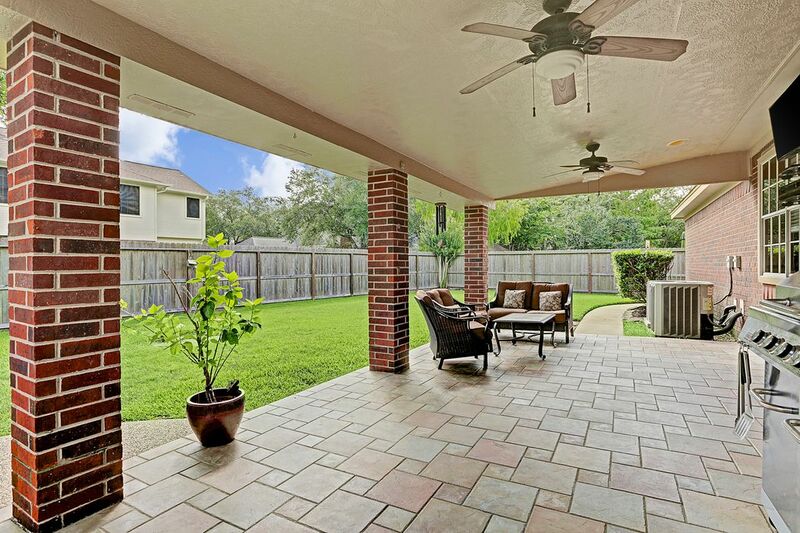 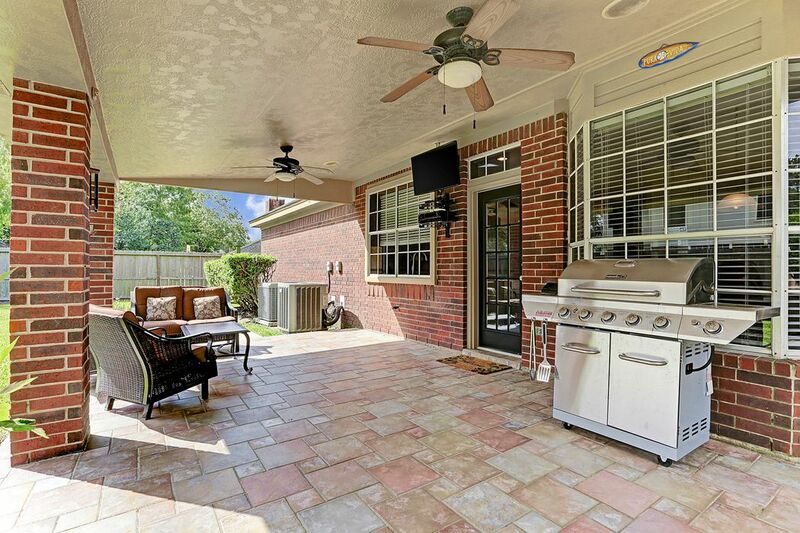 No MUD, low tax rate and the exemplary FISD school district will make this gem highly sought after.Conveniently located within a short walking distance to FHS, it is the perfect location to take in a hometown football game during the fall season. 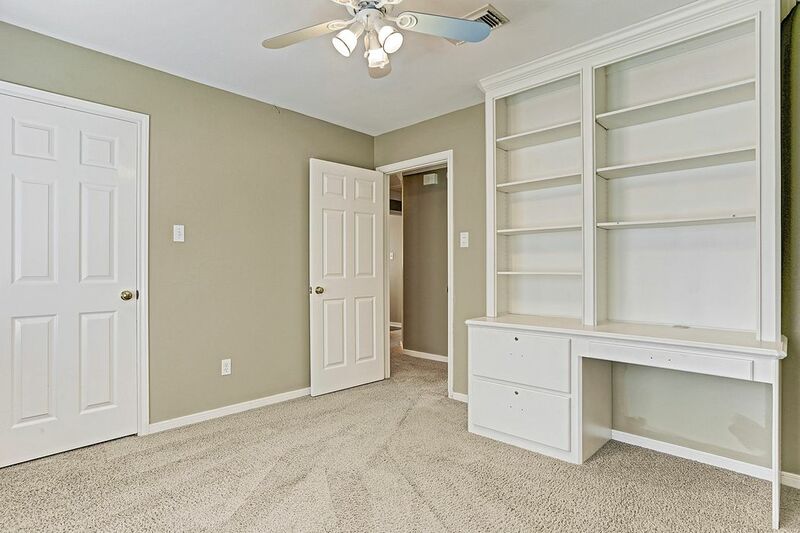 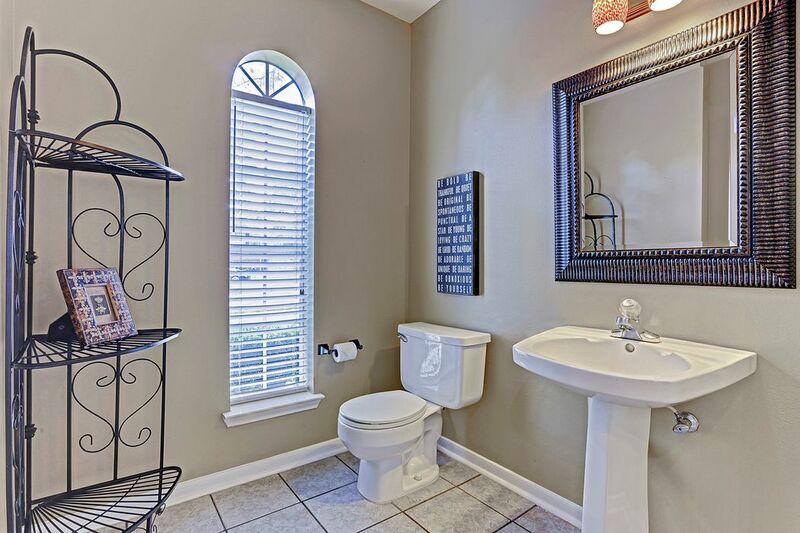 Fresh paint in neutral colors throughout most of the home, a revamped master bathroom and new 4 ton AC unit are just a few of the recent updates that have been done.This home stayed high and dry during Harvey.